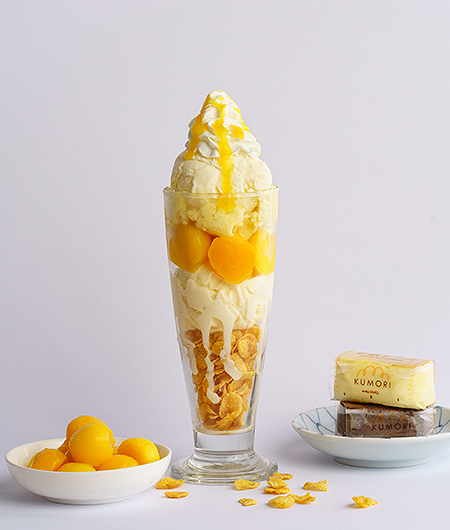 (SPOT.ph) The Philippine franchises of two big-name Japanese brands have just collaborated to create something sweet and incredible. 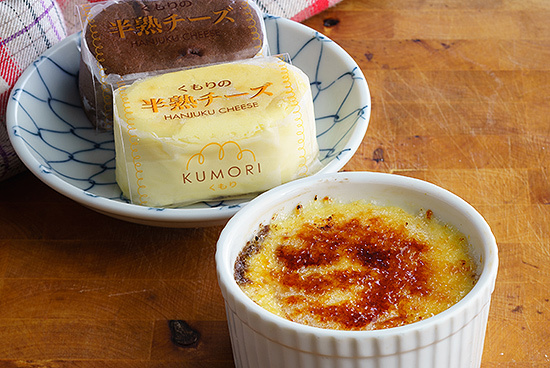 Mod meets tradition at Osaka Ohsho and Kumori's (both locally owned by the Relish Group) latest line of cheesy desserts. It's fusion that's definitely straight to the point. It's just downright good. Osaka Ohsho, which is ranked No. 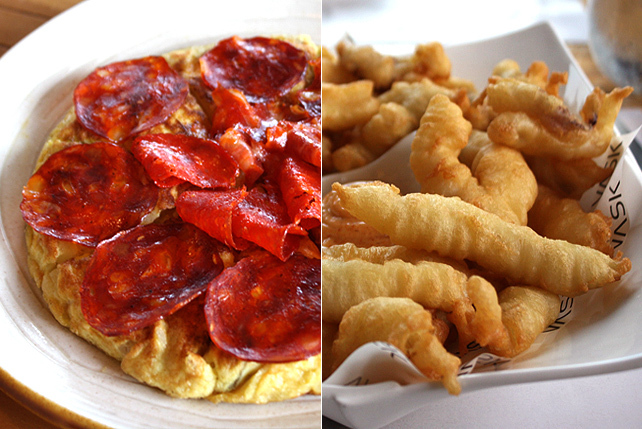 1 on SPOT.ph's Top 10 Gyoza list, is renowned as the "King of Gyoza." This Japanese chain has their technique down pat and they've branched out from plain to cheese, nori, and even peanut-butter. 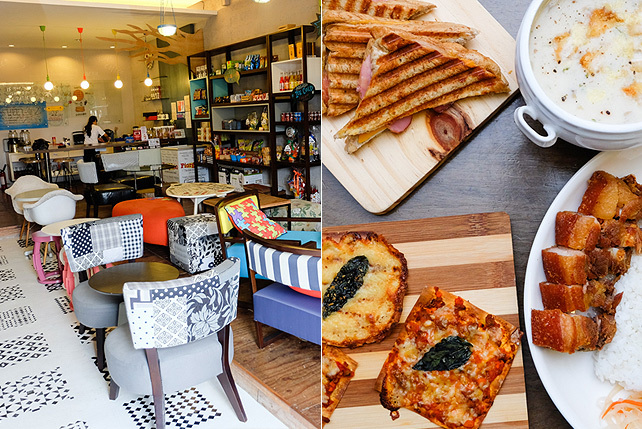 Kumori, meanwhile, is famous for their natural, handmade, fresh breads and pastries. Their signature cheesecake is a dream come true. 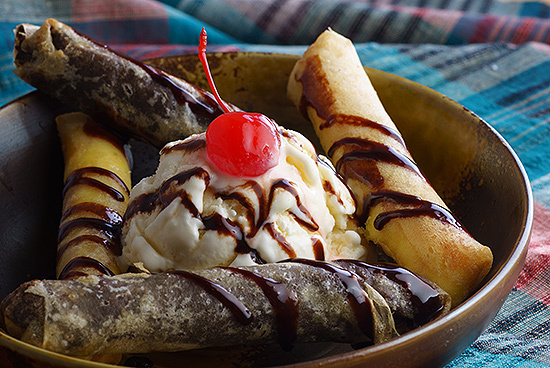 The Hanjuku Cheesecake Spring Rolls merge the Hanjuku cheesecake and chocolate cheesecake in one delicious roll, deep-fried and embellished with vanilla ice cream. The final touch? Chocolate syrup and a cherry! 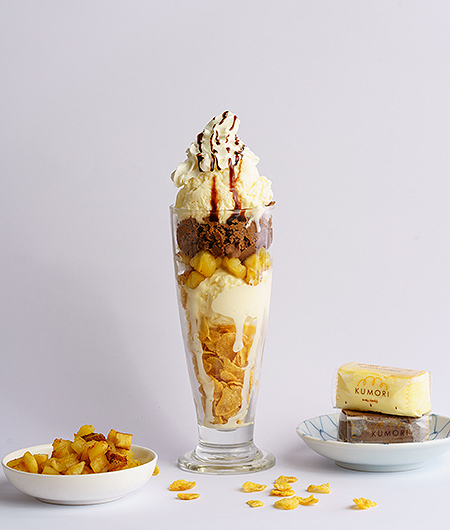 The Hanjuku Cheesecake Parfait is a throwback to Osaka Ohsho's yummy sundae setups. The cheesecakes snakes in between layers of cereal, ice cream, fruit, and whipped cream. It comes in two flavors: Mango and Banana Chocolate. Instead of custard, they use cheesecake for their Hanjuku Cheesecake Crème Brulee. This might even be better than tradition. Totes yum! The Osaka Ohsho x Kumori collaboration is available at Osaka Ohsho, 3/F SM Mega Fashion Hall, Mandaluyong City. Read more about Osaka Ohsho.